Daydream is the new interactive screensaver mode that was added in the Android 4.2 / Jelly Beans release. Such “dreams” may be activated when the device is in idle mode or inserted into a dock. In the following tutorial we’re going to create a simple daydream that starts a simple animation and in addition we’ll be adding a configuration screen to alter the behaviour of this daydream. Since I got a new tablet running Android 4.0 aka ice cream sandwich I wanted to play around a bit with the fragments API and creating an application for a tablet. In the following tutorial, we’re going to build an application that renders several articles from a popular tech blog (just kidding) in a web view. Using reusable styles and themes to modify an Android application’s look is really easy and helps to not violate thy DRY (don’t repeat yourself) principle by typing styles in every single UI element again and again. In the following tutorial we’re going to write and apply some simple styles and a finally theme to a simple Android application. In today’s Android tutorial we’re going to take a look at Android’s Widget API and how to make a widget interact with a service using intents. We’re going to create a fully functional application that allows us to enable or disable our smartphone’s screen lock settings using a widget that can be placed on our home screen. Finally I am going to show how to use a smartphone to test and debug our application and connect it to the IDE. Today we’re going to take a look at Google’s App Inventor feature that offers programming-novices a nice possibility to enter the fabulous world of Android App programming without deeper knowledge of the API or complex SDK installations. So lets build some stuff .. The Android SDK offers a nice API to receive information about available providers for location based services and get the current location and coordinates. In this short tutorial we’re going to build a small activity that displays a list of available location providers and shows the current position using GPS services. The integration of gestures into your android app adds some nice functionality and is made very easy using Google’s GestureBuilder application and the integrated GestureLibrary and Gesture Overlay API – so let’s build a sample app. If you need some basic information regarding gestures on android first – take a look at this article. Sometimes QR codes are a nice way to distribute information like calendar events, contact information, e-mail, geo-locations or internet addresses. 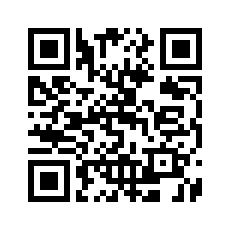 In the following article we’re going to encode information to QR code images using the ZXing library and afterwards decode information from a given QR code. Finally we’re taking a look on online QR code generators and how to integrate the ZXing library in a Maven project.